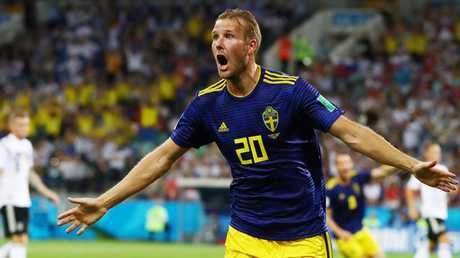 A RECOMMENDATION from ex-Melbourne Heart midfielder Orlando Engelaar helped Melbourne Victory lure Sweden World Cup striker Ola Toivonen to the A-League. Toivonen has signed a two-year deal with Victory, moving from Toulouse after helping his national team to a quarter-final finish in Russia. The 32-year-old said he was tossing up between an extended stay in France, the Middle East and a return to Scandinavia before deciding to bring his family to Australia. "We decided to go on an adventure," he said. "After the World Cup, me and my family was thinking about what we should do in the future. "I have a friend in Holland, Orlando Engelaar and we talked about it a little bit ... we talked more about life, the lifestyle in Australia. "Contact (with Victory) was there, and yeah, I was interested." Toivonen and Engelaar's friendship was confirmed while playing at PSV Eindhoven - the current club of Socceroos Trent Sainsbury and Aziz Behich - for four seasons from 2009. Engelaar joined Melbourne Heart in 2013 but managed only half a season after breaking a leg during the pre-season. 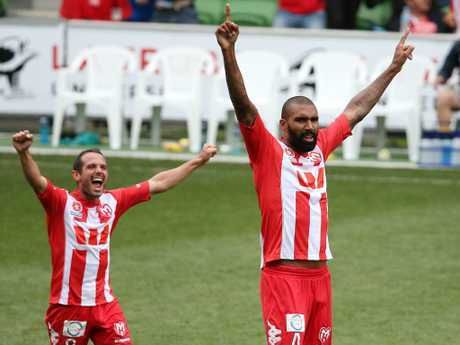 He's best known in Australia for scoring one of the A-League's best ever goals - a chip from behind the halfway line against the Central Coast in March 2014. 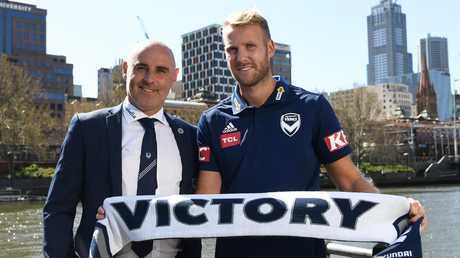 Given rival Melbourne City's intent not to chase high-profile international signings, Victory have pounced to add the towering Swede to a revamped forward line that also features Japan's Keisuke Honda. 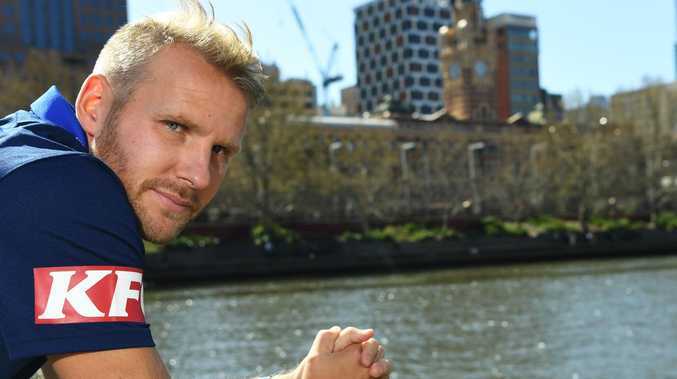 New coach Kevin Muscat said Toivonen would bring another dimension to Victory's attack. "What we've done now is created even more flexibility in our front third," he said. "Ola's scored goals in his career ... he can also drop deeper and occupy wider areas. "It creates unbelievable competition for places and real flexibility." Toivonen joins German centre-back Georg Niedermeier and Spaniard Raul Baena as new international arrivals at the A-League champions. 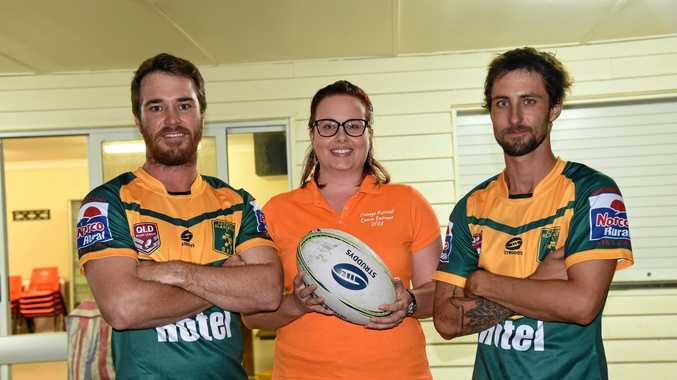 "It's been a very productive off-season," Muscat said. "The transformation from where we ended up last season to where we are now has been huge. "We think we've done some really good business and are excited about the year ahead."